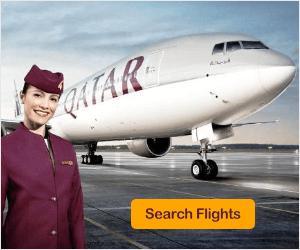 In recent years, Qatar Airways has shot to the top of airline ratings, clinching several impressive awards including the world’s Best Long-Haul Airline, and Best Cabin Crew. Operating from Changi Terminal 3, the Qatar Airways offers direct service to Doha, Qatar. However, most Singaporeans fly with the airline for its attractive packages to Europe via Doha (Hamad International Airport), which could cost less than $900. 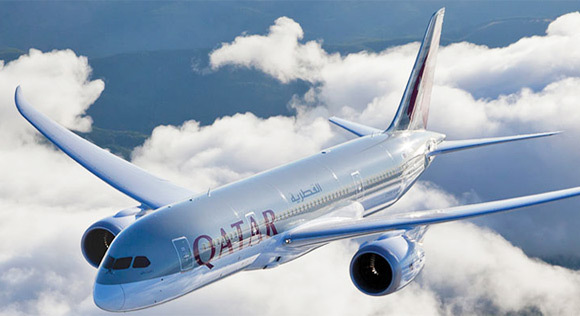 Qatar Airlines serves an extensive network of destinations in Europe and North America, including Oslo, Stockholm, Athens, Moscow, Paris, Los Angeles and etc. Passengers who fly Qatar Airways to destinations other than Doha and Bali will have to transit in Doha, but can look forward to a comfortable experience at the Oryx Lounge. For just over S$50, economy-class passengers can access this premium and luxurious lounge. Facilities include complimentary WiFi and PC usage, light meals and beverages, reclining chairs and shower rooms. For business-class and first-class passengers, access to Qatar Airways London Heathrow Premium Lounge is free of charge. Qatar Air also aims to minimise transit time for passengers. All flights from Singapore arrive in Doha at 0455h local time, and passengers usually only need to wait for one and a half hours before being whisked off to their next destination on an early morning flight. Direct flights, in comparison, can set you back by at least twice the amount. 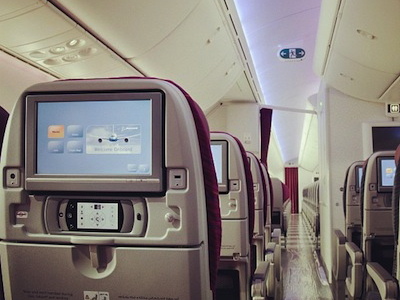 Qatar Airlines has one of the world’s youngest fleets, which means its planes are clean, comfortable and modern. 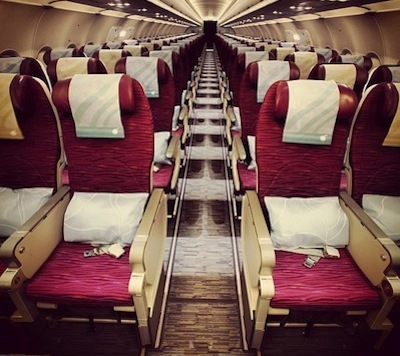 However, seat widths in economy class are significantly smaller than some airlines’, such as Singapore Airlines. Business class passengers are treated to an ottoman (a leg rest) and have the option of reclining fully. Whichever class you fly, you will be treated to the warm and acclaimed hospitality of Qatar Airways’ cabin crew. Friendly and attentive, they will offer you Singapore Girl level service, with pillows, blankets and hot towels. Qatar Airways serves international food with a distinct Middle Eastern twist. Business and first class passengers can expect a full, multi-course meal, with starters such as Arabic mezze, mains such as oven roasted mustard and dill salmon and dessert. Economy class passengers are also delicious, with wraps, cajun chicken, salads and omelettes. Wine lovers, rejoice; despite being a Middle Eastern airline, Qatar Airways offers its passengers an impressive range of wines and champagnes. While some airlines’ cabin crew may offer you wine without understanding the art of wine appreciation, Qatar Airways offers a different experience. Most of its cabin crew have extensive knowledge of wines, and will offer you a sommelier style service, presenting you with a bottle and providing you with a sample for tasting. Oryx Entertainment, Qatar Airways’ version of KrisWorld, is just as captivating – it offers hundreds of movies, audiobooks, games and music selections. Also, passengers can now use their smartphones and laptops on board, connecting to the aircraft’s OnAir GSM/WiFi service. However, the plans are dependent on your own network provider. Don’t count on using this service just yet, as only select aircraft offer it.